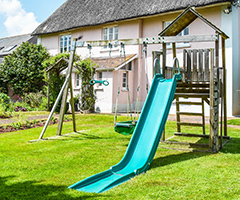 We feel it is very important for parents to have a relaxing break whilst on holiday, that's why we've invested in a wide range of play equipment to keep the children occupied. 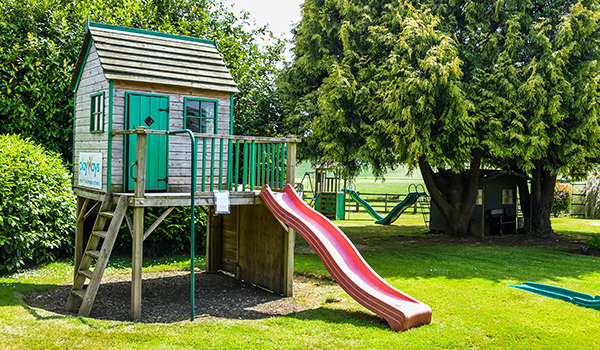 Outside there is a bespoke playhouse, 12ft trampoline, swings, slides and a climbing frame. 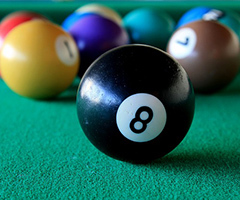 For rainy days there is an indoor games room with table tennis, a pool table and other toys. Our garden has a large flat lawned area which is perfect for games of football, cricket, rounders or simply just running around. You are of course welcome to bring your family's favourite toys to use in this area. Whatever the weather there is always plenty to keep little people busy. Our playhouse on stilts provides fun for any age. 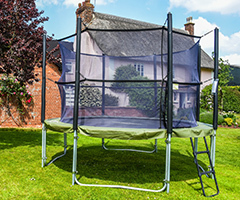 It is large enough for adults to join in and have a tea party inside the house. For a fast decent there is a climbing wall, fireman's pole and wavy slide. Our playhouse on stilts provides fun for any age. It is large enough for adults to join in and have a tea party. For a fast decent there is a climbing wall, fireman's pole and slide.